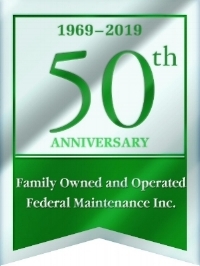 OUR FAMILY — Federal Maintenance, Inc.
Federal Maintenance, Inc. was founded in 1969 by John Weber. John Weber had two dreams upon moving to South Florida. The first was to make a difference as a Deerfield Beach Police Officer and the second was to start his own family business. After years of dedication and hard work, both of his dreams were accomplished. In 1980, the family business became a Florida Corporation and grew in leaps and bounds after John retired the Police Department as an Administrative Lieutenant, as Rebecca became the Chief Operations Officer, her husband Scott Repetti as President of Operations, as well as Mike Weber, a close relation, as Field Superintendent. In 1989, John started Federal Engineering & Testing, a now successful geotechnical engineering firm and Rebecca has taken over Federal Maintenance, Inc., with the help of her daughter and son-in-law, to continue the commitment to quality workmanship and excellent customer service. Able to follow instructions as well as use initiative when required. We are always looking for hard-working individuals who have the skills and experience to work asphalt both by hand and with machines. Able to shovel and rake hot asphalt. Prepare a rock base for compacting. Use a vibratory roller to compact asphalt. Clean, valid Florida driving license. Ability to run an asphalt paving machine. If you have experience with forming & finishing concrete, we want to hear from you! Able to setup forms correctly, ready for pouring. Able to operate curb machine as well as finish concrete by hand.